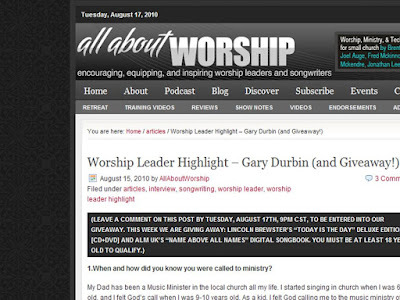 My friends over at All About Worship did an interview/highlight on me about worship leading and songwriting. I'm honored to be on their site. I tell my story and journey to where I am now. Also, check out their podcast. It's listener base has really grown. 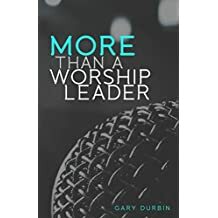 If you are into worship music and artists, you will really enjoy the podcast. I download and listen to every episode. Great stuff!